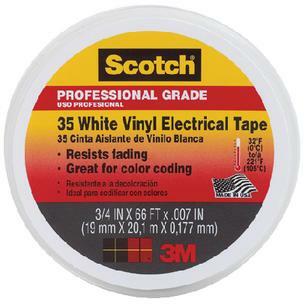 Scotch® Vinyl electrical color coding tape 35 is used in phase identification, color coding leads and piping systems and for marking safety areas. 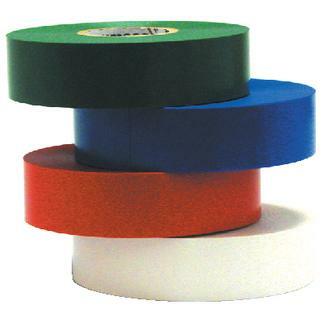 This tape is abrasion- and weather-resistant, with excellent mechanical and electrical insulation properties that wraps smoothly and holds tight over a wide range of temperatures. UL Listed and CSA Certified, and is flame-retardant.